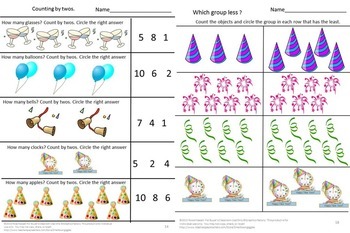 Winter Activities Bundle-This money-saving bundle will take you from Christmas to Spring with Fine Motor Skills Activities.This printable math and literacy Winter Activities bundle works well for preschool, kindergarten, special education, ESL, speech and language therapy and students with autism. 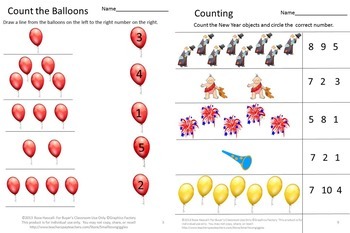 This winter or New Year's Day packet works well for preschool, kindergarten, special education and students with autism.They will practice classifying, sorting, shape recognition, number order, counting and other math skills. 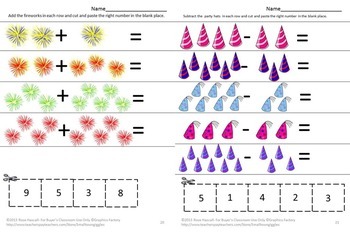 These no prep worksheets will also help develop fine motor skills. This product is ready to print and be used immediately. 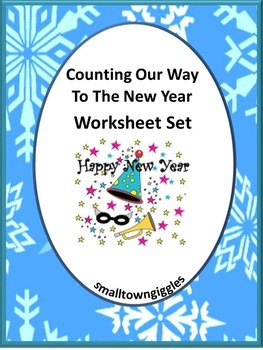 Click HERE for more winter activities.